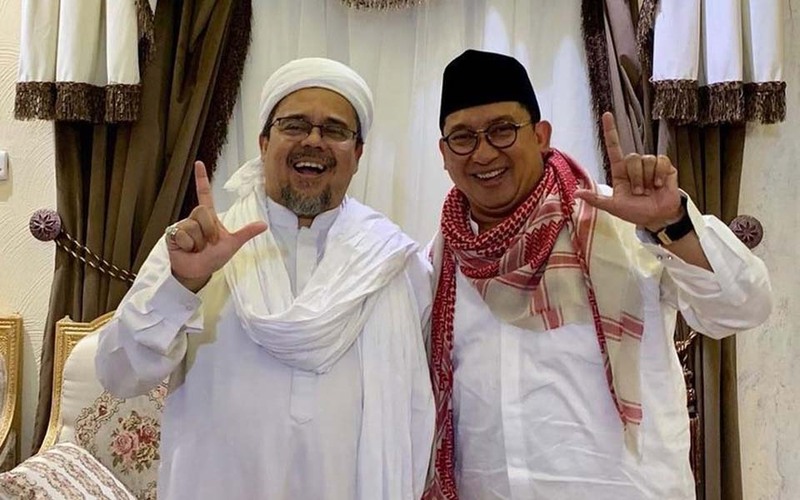 Indah Mutiara Kami, Jakarta – The deputy chairperson of Prabowo Subianto’s Greater Indonesia Movement Party (Gerindra), Fadli Zon, has again met with fugitive Islamic Defenders Front (FPI) leader Habib Rizieq Shihab in Mecca where they posed together making the two-finger salute. 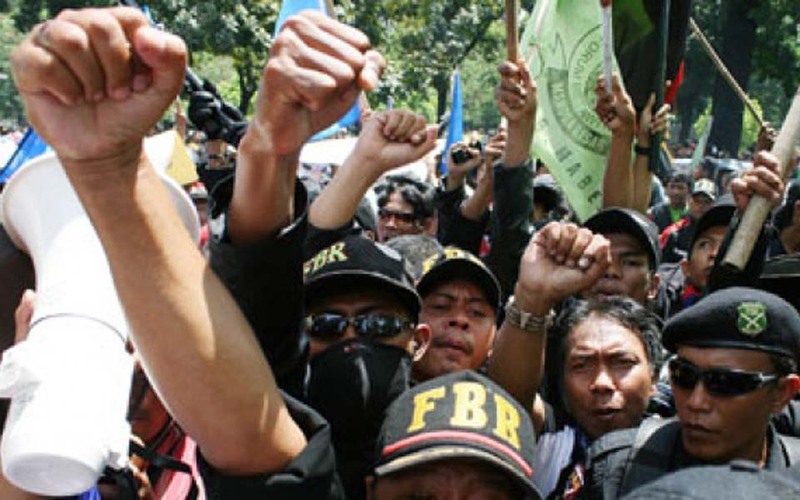 Samsudhuha Wildansyah, Jakarta – Presidential candidate incumbent President Joko “Jokowi” Widodo personally attended an event on March 10 to hear a declaration of support from the Betawi Brotherhood Forum (FBR). 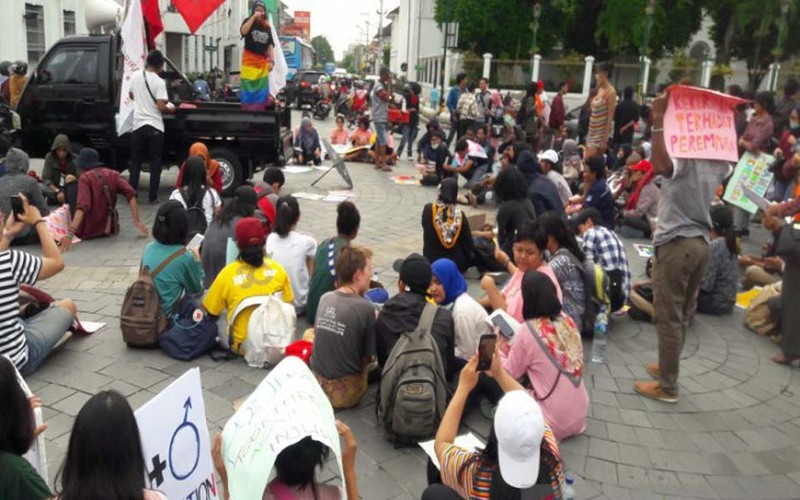 At least 16 civil society groups in the West Java provincial capital of Bandung commemorated International Women’s Day (IWD) with a march on Friday March 8 demanding equality for women. 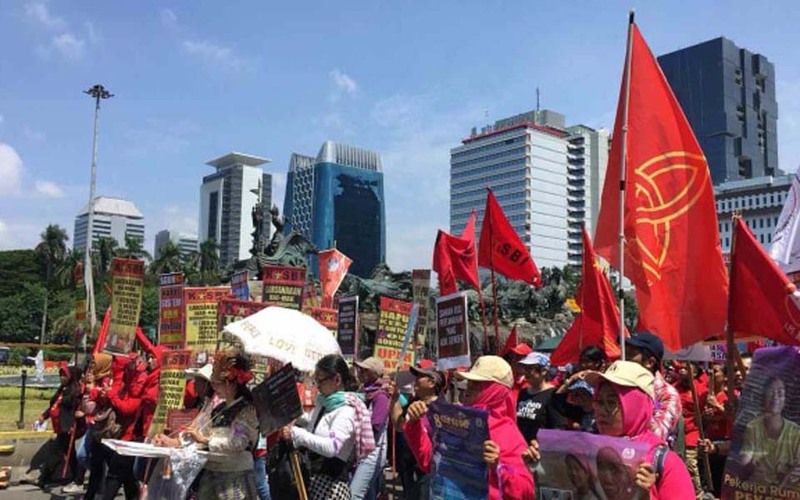 Dewanto Samodro, Jakarta – International Women’s Day (IWD), which is commemorated every year on March 8 in Jakarta, was marked by a march from the Bank Indonesia traffic circle to the Aspiration Park in front of the State Palace in Central Jakarta. 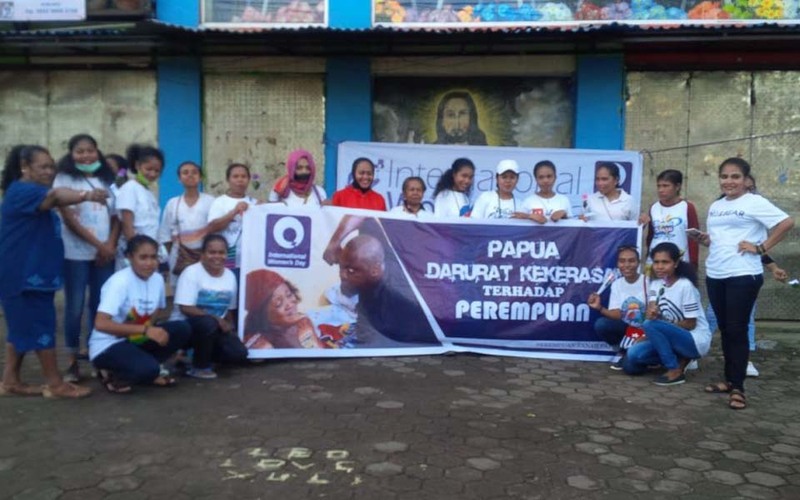 Hans Kapisa, Manokwari – The Manokwari Papuan Women’s Forum (FPP) held a silent action on March 8 to commemorate International Women’s Day (IWD). 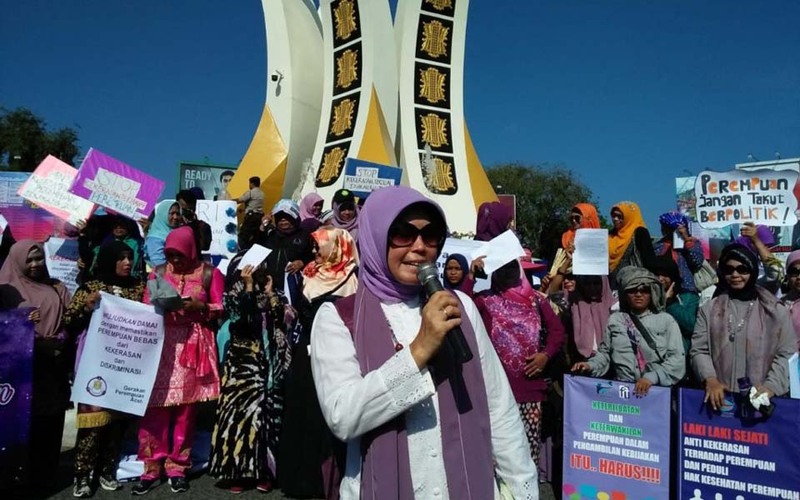 Husaini Endehttp, Banda Aceh – Hundreds of cross-sector women activists in the Banda Aceh provincial capital of Aceh from the Syura Ureung Inong Aceh Association (BSUIA) held a long-march on Friday March 8 to celebrate International Women’s Day (IWD) 2019. 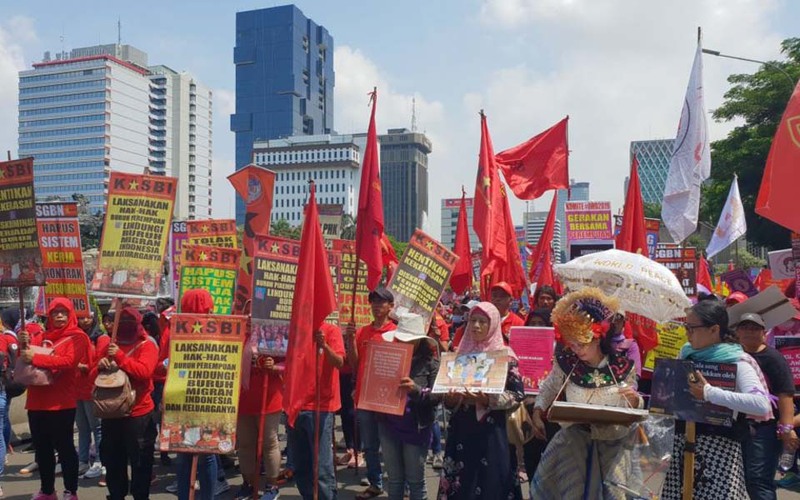 Women’s rights activists commemorating International Women’s Day (IWD) on March 8 gathered near the Horse Statue monument before holding a long-march to the Aspiration Park in front of the State Palace in Central Jakarta. 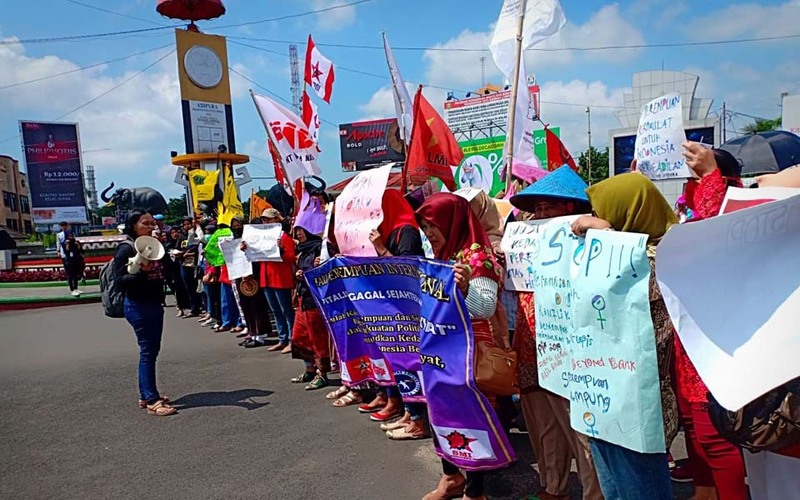 Purwokerto – The Banyumas People’s Struggle Front (FPR) held a protest action in the Central Java city of Purwokerto to commemorate International Women’s Day which falls today, Friday March 8. 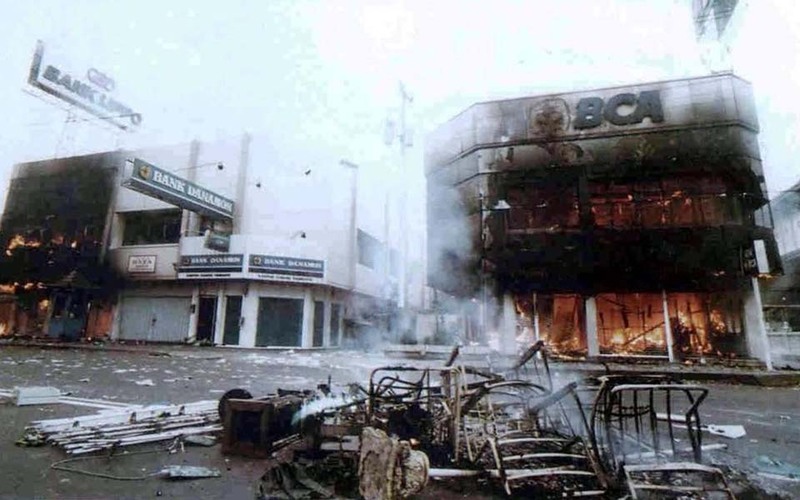 Around 50 people took part in action which was held in front of the Purwokerto square. 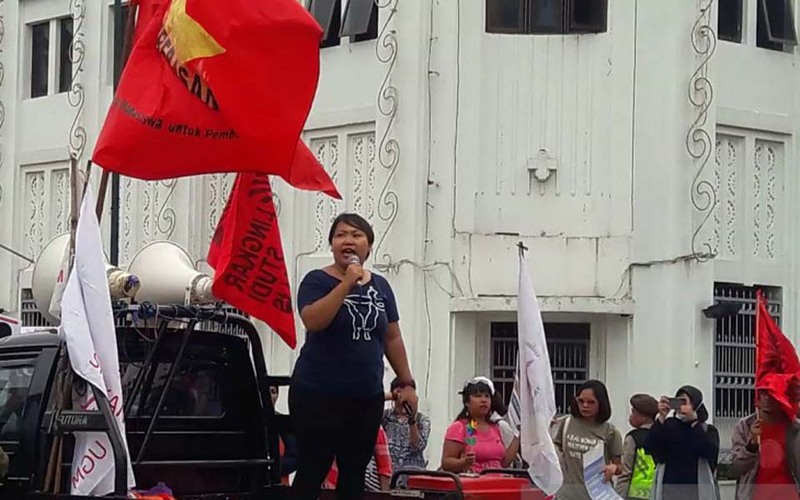 Luqman Hakim, Yogyakarta – An alliance of women’s groups in the Central Java city of Yogyakarta held a peaceful action at the zero kilometre point in front of the central post office on Friday March 8 to commemorate International Women’s Day (IWD) 2019. 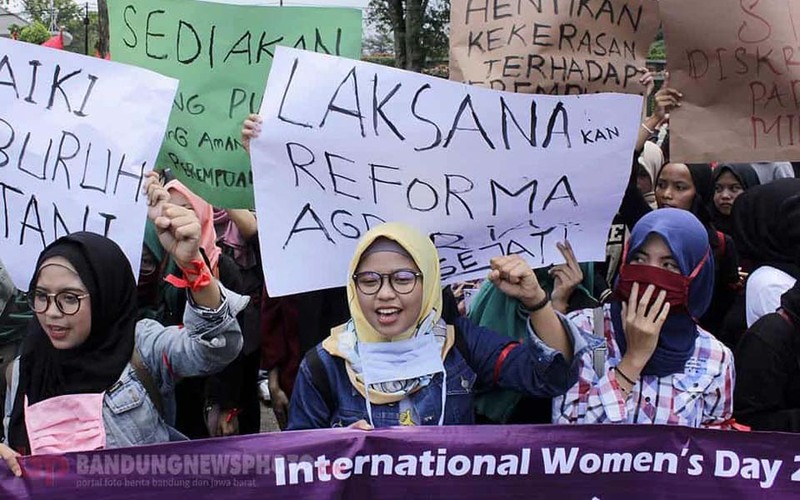 In the framework of commemorating International Women’s Day (IWD) which falls on March 8 each year, the Lampung Women’s March held a creative action parade today in the North Sumatra city of Lampung. 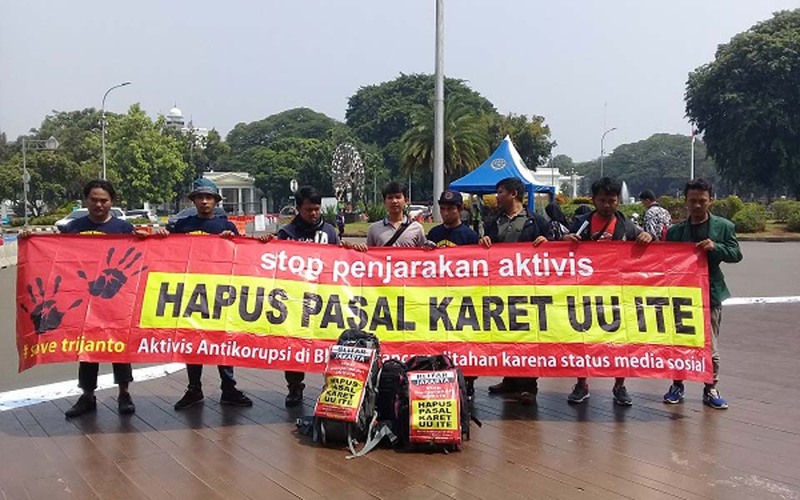 Jombang – Scores of student from the Indonesian Islamic Student Movement (PMII) demonstrated at the Kebonrojo Park intersection in Jombang, East Java, on Friday March 8. 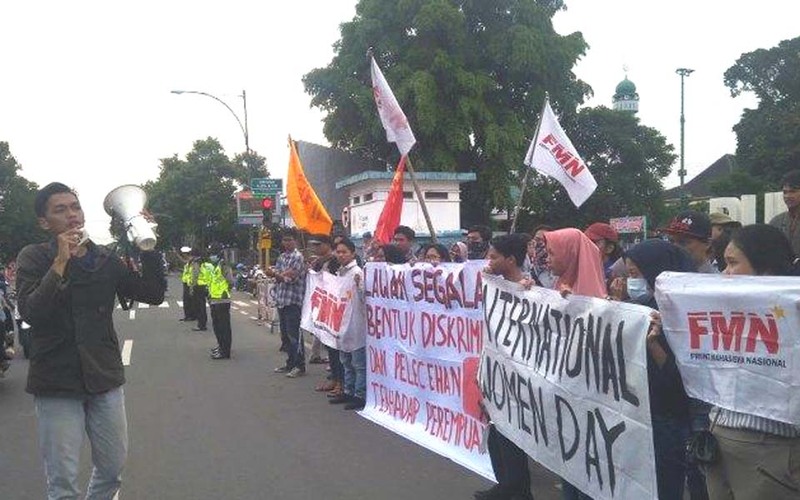 Rahmadhani, Padang – Scores of women activists in Padang, West Sumatra, commemorated International Women’s Day (IWD) with a “silent” action at Jl. Khatib Sulaiman on Friday March 8. 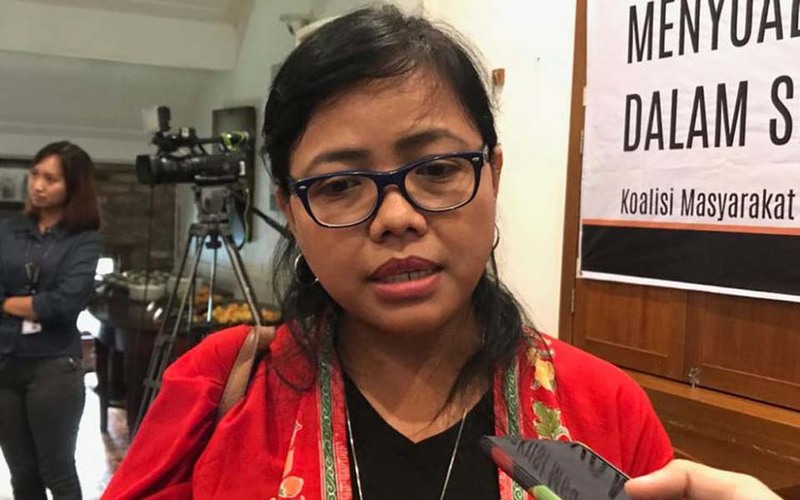 Fitria Chusna Farisa, Jakarta – Constitutional legal expert Bivitri Susanti from the Center of Law and Policy Studies (PSHK) says that the Information and Electronic Transaction Law (UU ITE) must be reviewed. 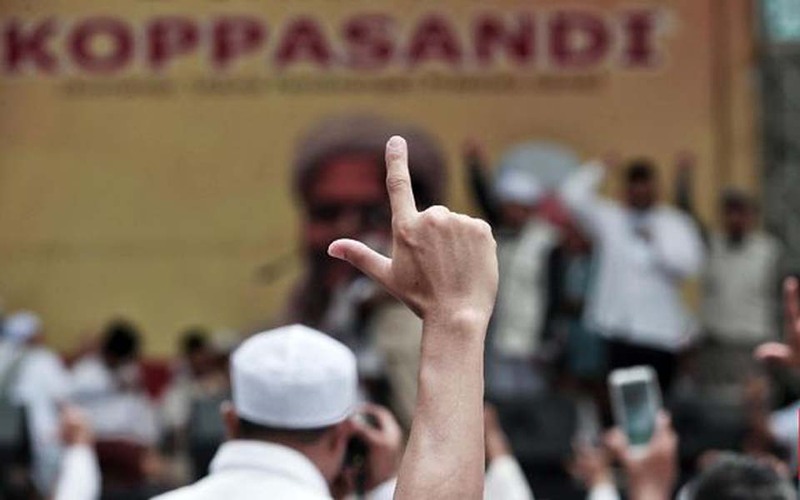 Kosim Rahman – Former members of the recently banned Hizbut Tahrir Indonesia (HTI) group, which had previously campaigned for radical Islamic ideas, is believed to be supporting the 02 presidential campaign ticket (Paslon) of Prabowo Subianto and Sandiaga Uno in the 2019 elections. 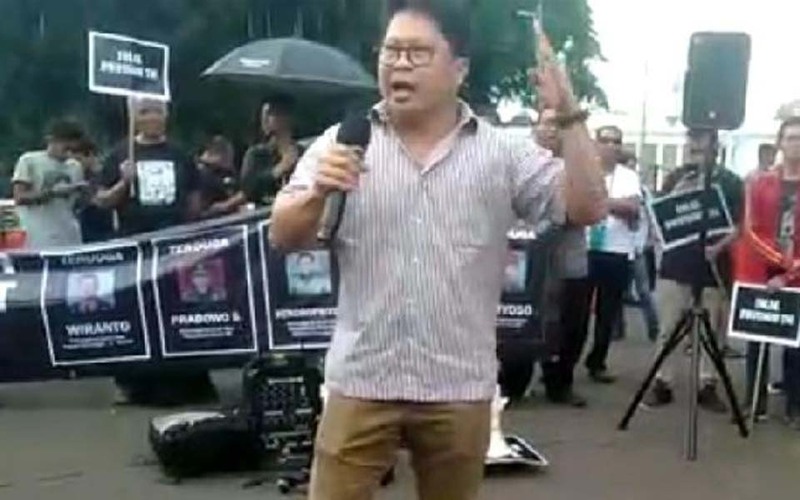 Imam Hamdi, Jakarta -- Activists who are part of Robertus Robet’s legal support team are urging National Police Chief (Kapolri) Tito Karnavian to release the Jakarta State University (UNJ) lecture who was arrested by police on Thursday March 7. 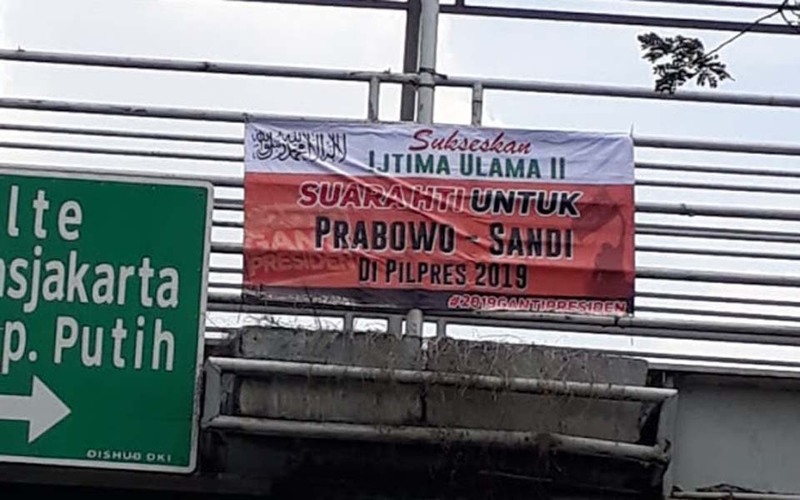 Jakarta – The results of the latest LSI Denny JA survey show that support for the number 02 ticket in the 2019 presidential elections – Prabowo Subianto and running mate Sandiaga Uno – has increased among voters who want Indonesia to become like the Middle East or Saudi Arabia. 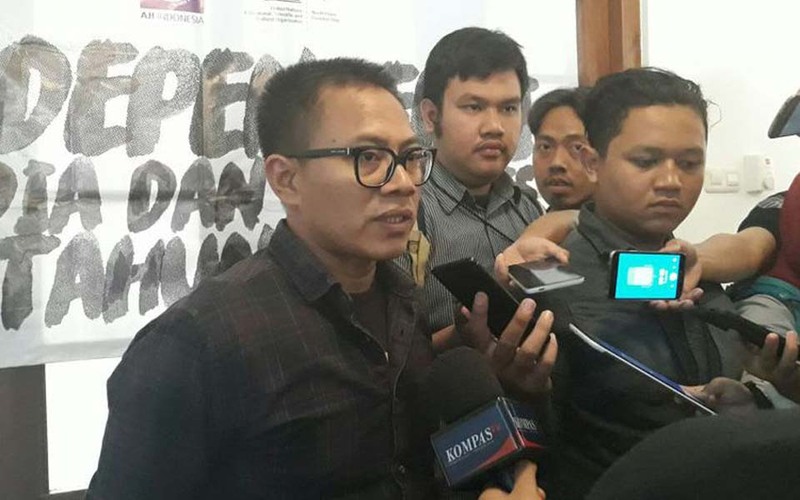 Oktaviani – The “sumpah pocong” challenge thrown up by Coordinating Minister for Security, Politics and Legal Affairs Wiranto to former Army Strategic Reserves Command (Green Berets) commander Major General Kivlan Zein is inappropriate.